Let us Transform your Clutter to Clean! With Us, Anything is Possible! We make organizing your space quick, easy and convenient! Free Consultation with a Professional Designer! The Classy Closet Brand is a trusted name in the Industry, so that means that you have a strong National Company behind an awesome Local, Family Owned Franchise here in Utah! Big Company….Hometown Values! We care about the Products and Service we are providing to you! Our Team is what really sets us apart! Most of our employees have been with the Company for more than 10 years. Their Creativity on the Design side is unparalleled, and the years of Experience on the Production side really shows in the Quality of the workmanship we provide! We take great pride in that! We can also offer faster turnaround time, more customization options & add ons, and we can fix problems faster because we Manufacture and Finish all of our own Products right here in Salt Lake…. No waiting for weeks on end. Sanity comes when everything has its place! Create YOUR Perfect space today! Is your car “out in the cold” because your Garage has been turned into a place to store all your extra junk? Is your workspace buried under a pile of paper & files? Let us help you get organized! Mom spends years slaving in the Laundry Room… Don’t you think she deserves to make it wonderful? Imagine finding everything you WANT or need, exactly WHEN you Need it… Try our no fuss pantries! Books, Movies, Treasures…. All deserve to be organized and showcased for everyone to enjoy! Unexpected Guest and nowhere to put them? Wall Beds both Save space and Expand space! Add Warmth, Beauty and Depth to all your countertop surfaces. We’ve got something perfect for you! Give your Cabinets in any room a Face Lift by adding new doors in a number of gorgeous woods. We Manufacture & Finish all of our own products in our local “State of the Art” Shop. What does that mean for our customers? Faster turnaround time, more customization options & add ons, and we can fix problems faster! We have a staff of talented and amazing Professional Designers that have the knowledge and experience to transform any space into exactly what you’ve been dreaming of. We will match you with the perfect “creative genius” for your space. We know that you work hard for your Money so our goal is to always give you the most Value for every dollar you spend with us regardless of your Budget. You can be confident that you will always receive the best value for the highest quality! We Guarantee that you will be thrilled with the Quality & Service of every job we do from start to finish! 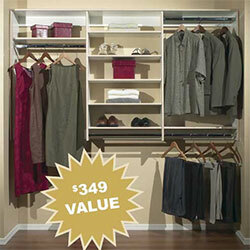 We not only offer total customization, you also have the trusted “Classy Closets” Brand behind our products. Working with a solid, established business means we have been pleasing Customers for many years and you can count on us to be Reliable, and Deliver the very best Quality and Service throughout the State of Utah. We not only have great Designers, we also have a Showroom where you can go for ideas to spark your own creativity! And because we manufacture our own products, we can MATCH ANY FINISH! Whatever you want…WE can Deliver!